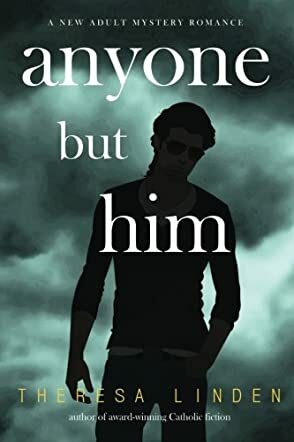 Anyone But Him by Theresa Linden is a suspenseful page-turner that takes you on a roller coaster ride of emotions and theories. Caitlyn wakes up and finds herself in a strange place, in a strange bed with a half-dressed man that she hated in high school. Terrified, she demands to be returned to her home. According to Jarret West, this is her home and he is her husband. Over the next few days, Caitlyn tries to unravel the mystery of why she has been either drugged and kidnapped or why she would marry this man and then not remember it. Jarret restricts her movements, and who she talks to, and interrupts Caitlyn’s escape attempts. She seizes the moment to talk to Roland, Jarret’s brother and her high school best friend, on the phone and pleads for his help. Soon, Roland arrives and tries to help unravel the mystery of Caitlyn’s amnesia. She has lost the last three years and wants to go home. In spite of Jarret’s profound jealousy and temper issues, they manage to work together at times to try to find the answers. All they know right now is that she left work Friday evening and was attacked somewhere between there and home, then managed to take a cab home in the early morning hours. Caitlyn's fear is that she really is married to this man. Anyone But Him delivers drama, suspense, love, forgiveness and a whole lot of second chances. Theresa Linden’s powerful story will keep you on the edge of your seat while you attempt to figure out what happened and why. There is never a dull moment while Caitlyn tries to figure out what happened to her last Friday, “Amnesia Friday”. As a private investigator, she knows how to gather information and piece things together, but when you don’t remember the last three years, it’s hard to know who the suspects are. She has to look at everyone, even co-workers, even the husband she doesn’t remember marrying. The story takes twists and turns that will stir emotions and teach lessons as you go. The mystery of whodunit is exciting and compelling on its own. The life lessons and demonstrations of faith throughout the story add a different dimension. Theresa Linden addresses moral issues and deals with them in an informative and sensitive way while offering answers that may help her readers. Words that come to mind to describe this book are gripping, tender, heroic, volatile, frightening, dangerous…a whole gamut of emotions. I highly recommend this well thought out and cleverly written book. I could not put it down.